Inspired by desert windmills! 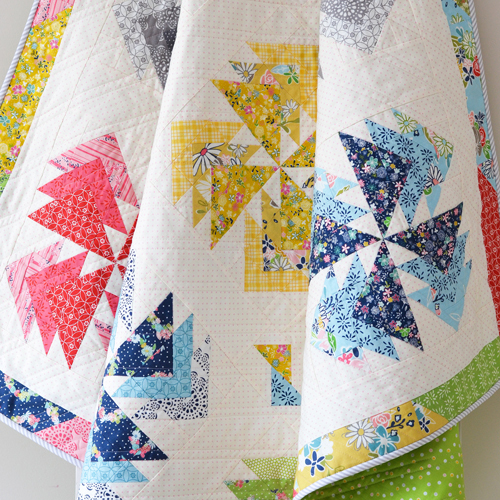 This simple to piece pattern is beginner friendly, and requires no templates. 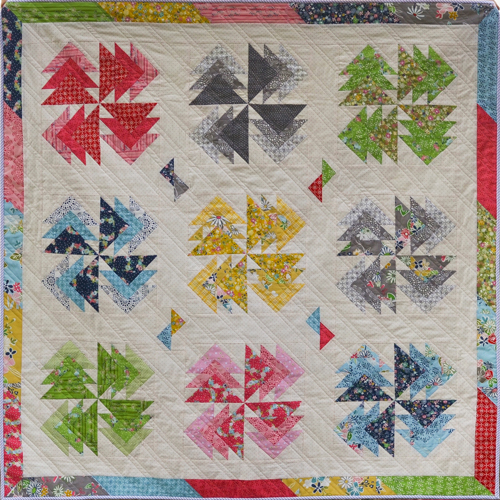 Showcase prints from your favourite fabric collection or create a rainbow ombré quilt to make a design statement.